Missed the Reunion? Experience it for yourself with a DVD from Tucson! 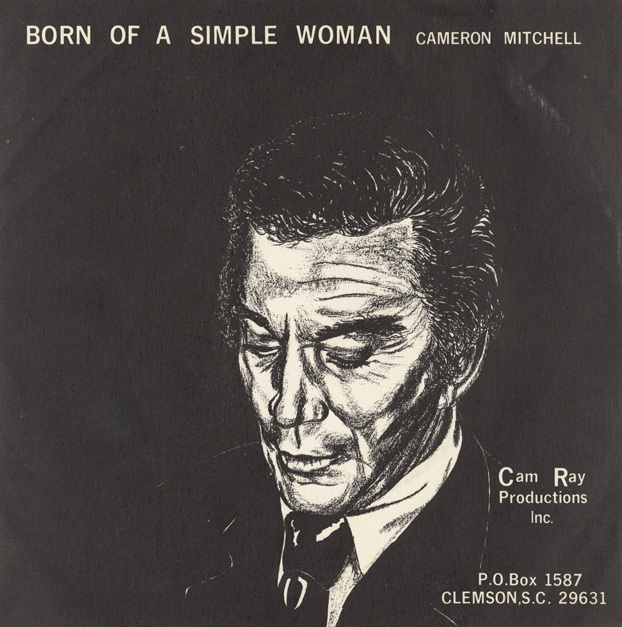 Many thanks to Rob Mitchell for sending along a rare recording by Cameron Mitchell. Thanks Rob! 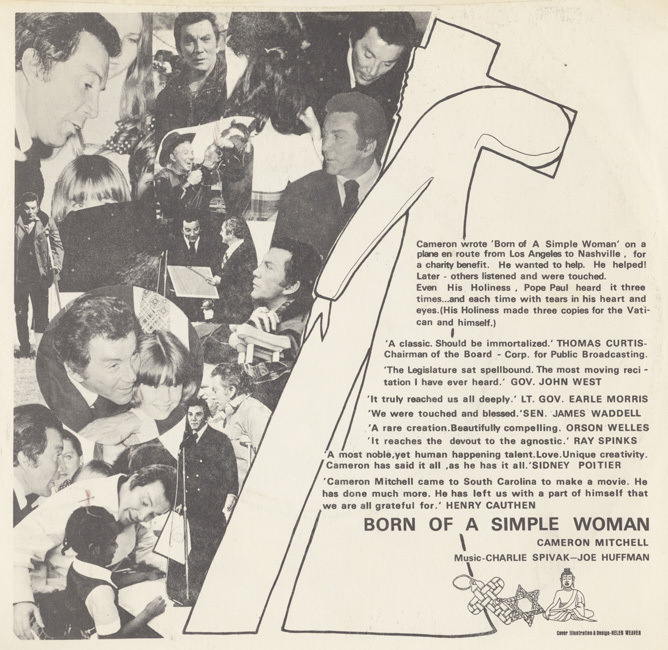 Recorded in 1973 and written by Cameron, the reading with music is inspirational and interesting, and the record jacket cover has original artwork and a collage of photos. 'A classic. Should be immortalized.' Thomas Curtis, Chairman of the Board, Corp. for Public Broadcasting. 'Cameron Mitchell came to South Carolina to make a movie. he has done much more. He has left us with a part of himself that we are all grateful for.' Henry Cauthen. 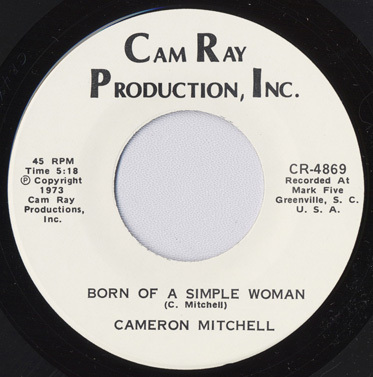 Born of a Simple Woman was recorded in 1973 by Cam Ray Productions, written by Cameron Mitchell, music by Charlie Spivak and Joe Huffman. 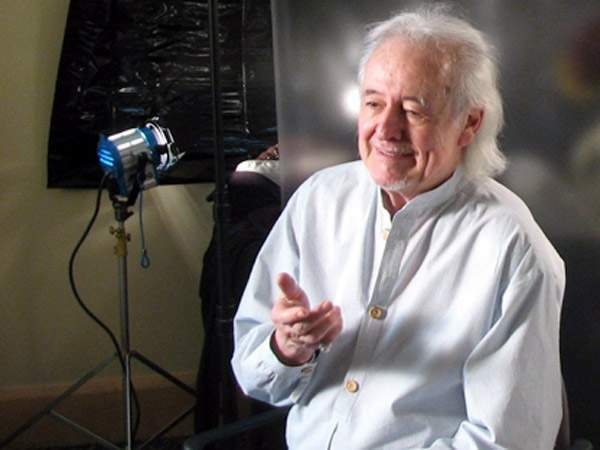 The Wilmington Star-News Online published this Henry Darrow article on Jan 6. Name a 1960s or 1970s cowboy TV show and it's likely Henry Darrow appeared in it. Because of his extensive work in Westerns on the big and small screen, PBS producers Producers Steven J. Boettcher and Michael J. Trinklein flew into Wilmington this week to interview the Wilmington-based actor for a new installment of their "Pioneers of Television" mini-series. Darrow moved to the area with his wife, Lauren Levian, in 2002. The series has already explored other forms of American television genres including sitcoms, late night TV, variety shows and game shows. His interview responses, filmed at the Wilmington Plastic Surgery offices on Eastwood Road, will be used in an episode exploring how the Western captured American audiences. Part of the interview explored how Darrow, who changed his name from Henry Delgado at the suggestion of a film agent, saw the roles of Latinos in Westerns evolve over the years. He was the first person of Hispanic decent to play the character of Zorro, a role he's played multiple times. Perhaps best known for his portrayal of Manolito Montoya in "High Chaparral," the Puerto Rican-born actor also made appearances in "The Wild Wild West," "Bonanza," "Gunsmoke" and many other Westerns. Other actors PBS has interviewed for this installment episode of "Pioneers in Television" include James Garner, Linda Evans , Fess Parker, Darby Hinton, Ed Ames, Angie Dickinson and Robert Conrad. Boettcher said that since the series began, he and Trinklein have criss-crossed the United States and interviewed about 150 people from television's early days. The Western episode is scheduled to air in the fall along with episodes focusing on science fiction, crime drama and early children's programs. 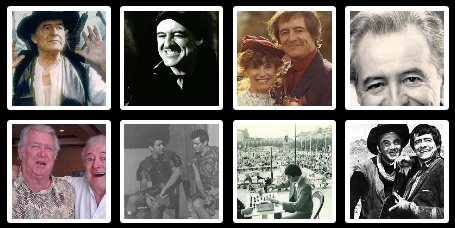 There is a new collection of Henry Darrow photos available at HenryDarrowBook.com. Many of the photos are from Henry's private collection and new to fans. Work on Henry's biography continues although a publication date has not yet been announced, according to co-author Jan Pippins. "I've finished interviews and am concentrating on writing." Getting to Know You with Susan McCray now appears at 3:30 and 6:30 pm Pacific every Tuesday on KSAV.org. 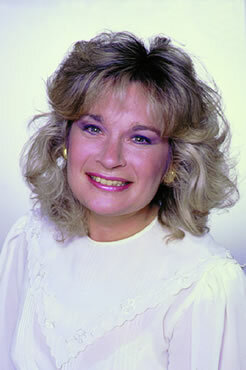 Don't forget Susan has interviews with many of The High Chaparral folks in her Archives! Remember Susan has interviewed many of your favorite High Chaparral stars and well as hundreds of fascinating celebrities and other successful people. Check out her archives for hours of interesting listening. You can also hear lots of HC Audio on the Newsletter HC Audio site. 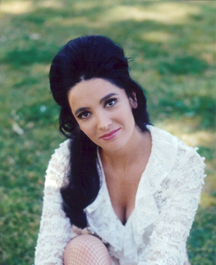 Linda Cristal will be celebrating her birthday on Tuesday, February 23. 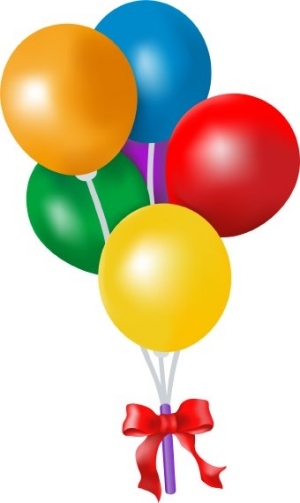 If you would like to send best wishes to her on her birthday, please send these to me on or before Monday, February 15. I will compile all email wishes and send them along with all cards on the 16th so she’ll receive them on time. Linda has been doing very well and is currently working on a new project. When she is ready, I’ll share more details with you (I’d do it now, but try as I might, I can’t get her to give up any more information right now!! Even her daughter-in-laws have tried to no avail!!) Linda has been very amused at my efforts to extort information. For those who wonder if Linda reads your cards and emails, yes she does. In fact, I will share with all of you something Linda shared with me recently. She told me not so long ago, that when she’s had a bad day or two, she takes out letters she’s received from High Chaparral fans and re-reads. They make her feel better and re-energize her. She has a very special place in her heart for High Chaparral fans. 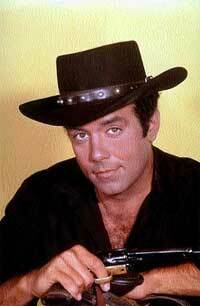 Last evening we received the news of Pernell Roberts’ passing at his home in Malibu, he was 81. His death came after a two year battle with pancreatic cancer, the disease which also took the life of his Bonanza co-star Michael Landon in 1991. Pernell loved the theater - most especially Shakespeare. He won a drama desk award as the best off broadway actor for his performance in Macbeth. On Broadway he appeared with Joanne Woodward in “The Lovers.” He longed to return to the stage after Bonanza. After our friend Michael Landon passed away in 1991, Kent and I produced the NBC movie of the week: “Memories of Laughter and Love - A tribute to Michael Landon.” We wanted to use clips from shows in which Michael appeared.That being the case, we needed permission from the actors appearing in each show we used. Since some of those included Pernell Roberts. I called him and told him about the tribute show and asked his permission to use the clips. I didn’t know what to expect. He replied: “Susan, you can use anything you need to pay tribute to Mike.” I will always remember his kind words during our conversation. My husband Kent, Bonanza Producer/Production Manager recalled: “In the three years I worked with Pernell - and we did over 100 shows together, I always tried to be honest with him and relate to him what his requirements would be for every episode of Bonanza. We got along very well. He once told me: “Kent I respect your thoughtfulness and honesty very much” Kent said: “He will surely be missed by all of his devoted fans. 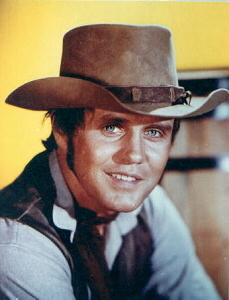 Pernell outlived the other Cartwrights; Dan Blocker died in 1971, Lorne Greene in 1987, and Michael Landon in 1991. He is survived by his wife Eleanor Criswell. Services will be private. Getting to Know You with Susan McCray will air a special Pernell Roberts tribute show on Tuesday, March 2 at 6:30 pm Pacific at 9:30 pm Eastern on KSAV.org. 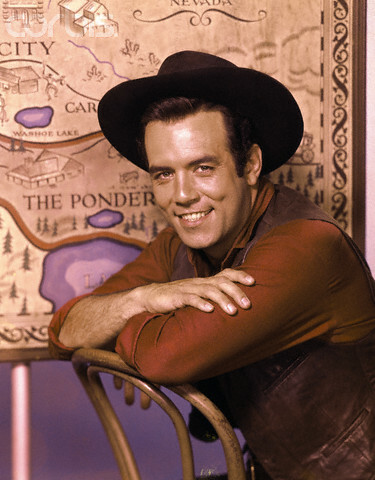 Susan covers the many facets of Pernell Roberts including his music. 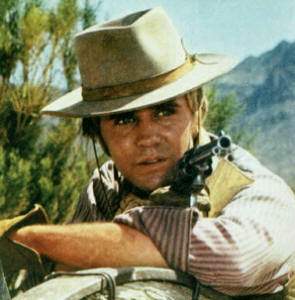 Kent McCray talks about his experiences and relationships with Pernell and shares stories, and there's a comment from Bonanza's Executive Producer and Creator David Dortort. I hope you had a very Merry Christmas and a Happy 2010! 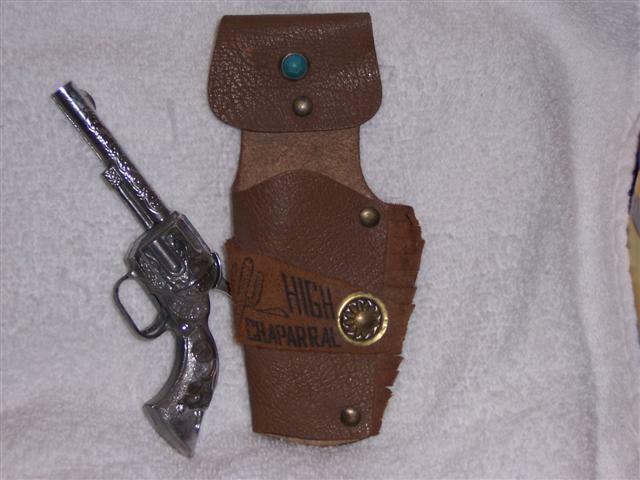 One is a rifle that has "Chaparral" and a picture of Buck Cannon (Cameron Mitchell with a mustache) and the other is a small revolver with a suede holster with "High Chaparral" printed on it. I got these through a toy magazine called "Toy Magazine." It is no longer in publication and I've always treasured these items because I feel they are so rare. I have never seen these items since then in any antique store, toy magazine, collectible magazine, etc. 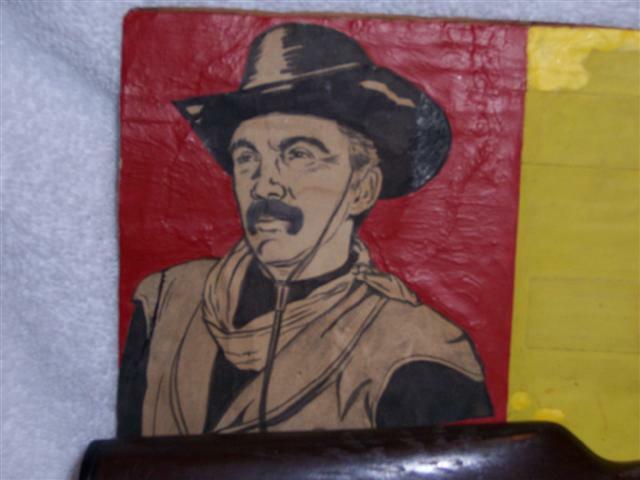 My feeling is that if the rifle it is "foreign" made and that for legal reasons, the manufacturer left off "High" and put a mustache on Cameron Mitchell to try and disguise him but in my opinion, it didn't work! I recognize him right away! This was probably the only way they could make this item and get it on the market. I'm sure they did not contact Mr. Dortort and I'm sure he would not have given his permission had they done so! Any thoughts from you would be appreciated. I hope you enjoy these photos. 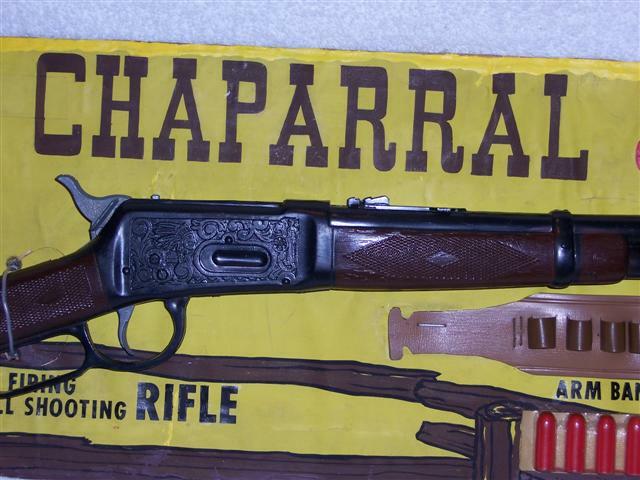 The High Chaparral Newsletter reached a milestone of 600 subscribers in January. This is over a 30% increase from 400 in August 2009! The original list began with less than 150 subscribers three years ago - the steady increase shows HC fans world wide continue to be interested in the Cannon and Montoya families. 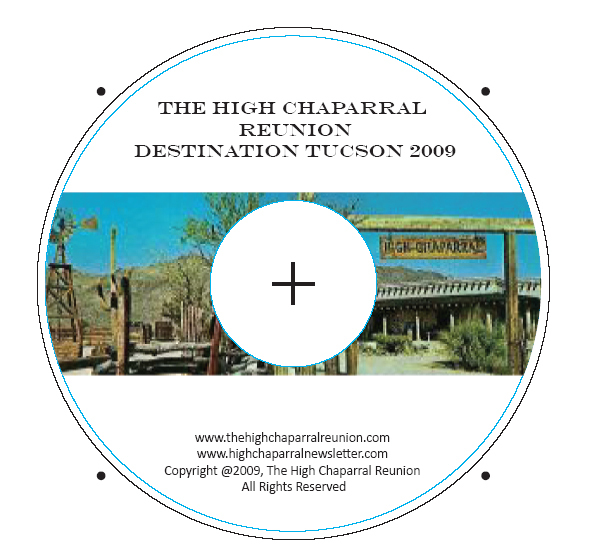 New editions of The High Chaparral Newsletter are delivered by email, then uploaded to the website archives when the next issue is mailed. By doing this our subscribers receive the news first. This means you can read the last issue online at the time the next issue is mailed - so you get a nice benefit by subscribing. With almost three years of Newsletters we have a lot of High Chaparral information, so there's a searchable index available - just type in whatever you're looking for and see if there's an article about it. The character I play on NB-TV's High Chaparral series, "Billy Blue Cannon," has been going through some growing pains and changes this season. I'd like to tell you a little bit about them - and about the new "Blue" you'll be seeing this year! "Billy Blue" has grown about five years from the way you remember him. He's more mature now and he's learned to face life squarely. He handles whatever problems come his way on a man-to-man basis, without running to anyone else for help and advice. Billy is his own man now. He has learned to work thing out by himself, instead of turning to "Big John" the way he used to. As a result of his new maturity, Billy's relationships with other members of the cast are more true-to-life. For instance, in a recent episode he said to Victoria (she's his stepmother on the series), "Don't lecture me!" Before Billy "grew up" he would always listen to advice from his elders. Billy's changes have even extended to how he looks. He no longer has blond hair (it's been darkened) and it's longer and groovier looking now. He is wearing a new outfit too - that I designed just for the new TV "me". All in all, I think the changes make "Billy Blue" more exciting than ever - don't you? Flash new on Mark Slade: Mark is currently completing his second Tetragrammation LP and it's sure to be a smash! And - listen to this inside tidbit on Mark! - he was recently made grand Marshall of the Soapbox Derby in Akron, Ohio - Mark once entered the Derby himself as a young boy - guess the racing fever's still in him. 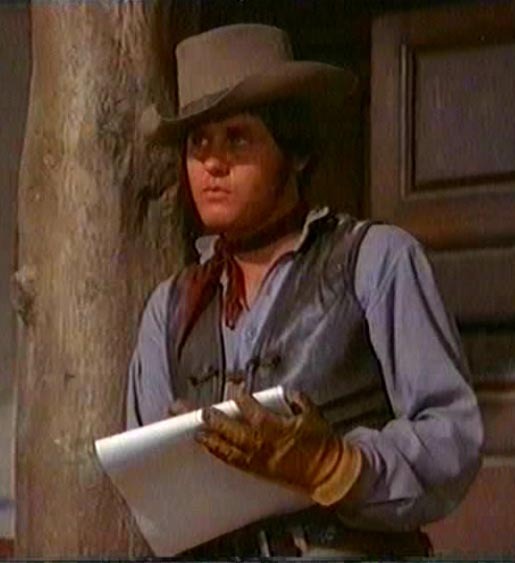 HOLLYWOOD - - Mark Slade got carried away with the title of his record album, "Mark Slade's New Hat," and decided to use the hat in "The High Chaparral" next season. Then he designed a new wardrobe and took the sketches to producer David Dortort who liked them enough to agree they helped establish the new adult character Mark, as Billy Blue, will have next season. The RedactedRedux section of the Mark Slade Studio website features several new cartoons and a photo titled 'mark-melinda-42' by Mark Slade. 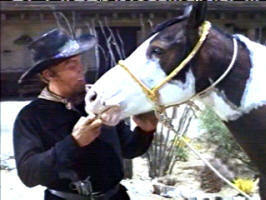 Manolito brings back an Apache paint horse as a gift from Cochise in The Assassins. The paint horse is eating Buck's biscuit. On the set Cameron Mitchell often gave treats to the horses, and as a result they would follow him around looking for a handout, occasionally interrupting filming. A while back I wrote an article about how The West wouldn’t be The West without cacti and I stand by that statement. However, cacti don’t get around much and they aren’t known to be great conversationalists. So, charming as they are (in a picky sort of way) I thought that we’d take a closer look at another symbol of the Wild West; the horse. While not conversationalists either, the horse has personality, elegance, intelligence and usefulness. They’re certainly more comfortable to travel on than a cactus would be - one would assume. I’ve never actually had the desire to compare rides. After reading the wonderful horse article featuring Bob Hoy at http://thehighchaparral.com/horses.htm I thought I might take a closer look at the various breeds so prominent in The West. One breed Bob didn’t mention was the Palouse Horse or Appaloosa. Certainly the Indians loved them and knew a good thing when they saw it. The Appaloosa is one of America’s most popular breeds. It is often called ‘The Proudest Horse a Man Could Ever Ride.’ I’d call them the proudest horse anyone could ever ride. An outstanding feature of the Appaloosa is their beautiful spotted markings. These range from a few spots to covering the whole animal. Cave paintings in France dating as far back as 18,000 BC depict spotted horses that are probably Appaloosa. The white spot pattern is the result of at least one gene type though a second is also suspected to have some effect. For obvious reasons, the spotting gene is called the Leopard Gene or Leopard Complex. This gene mutated (altered from the original form) and led to the new patterning. Genes carry instructions to code for things to be done. In this case, the gene mutation changed to read, ‘produce white spotting where there was once color’. Technically, where white occurs, the gene is actually saying produce no color in these areas and ‘no color’ results in white. We can assume the mutation has been around for a long time. The spotted coat has been seen in cave paintings and is found among other ancient breeds, such as the pre-Christian Asia Karabair and Mongolian Altai. It’s believed that the original Appaloosas are of Mongolian mountain horse stock. The leopard gene is also responsible for the white sclera (white of the eye) we see in many horses but always in the Appaloosa. It can also produce striped hooves. We have the Nimíipuu Indians, commonly known as the Nez Perce, to thank for developing this breed. The name springs from a modification of Palouse. The Palouse River runs through Washington and Idaho and straight through the Nez Perce country, where the horse was recognized as the Palouse Horse to the white settlers. Over time, the name Appaloosa evolved. The Appaloosa is a breed found in all disciplines of equine sport. The stallion Apache Double (1969-1999) broke racetrack records and was inducted in the Appaloosa Racing Hall of Fame in 2001. He is only one of many champion Appaloosas in equine sport. Personally, I’d love to see an Appaloosa run the Melbourne Cup! * Incredibly, the world nearly lost the breed during the Indian Wars. When the Calvary recognized that this horse, with its sure-footed speed and stamina was often the reason the Indians escaped, they placed a bounty on them. Of those captured some were sold, most were slaughtered. 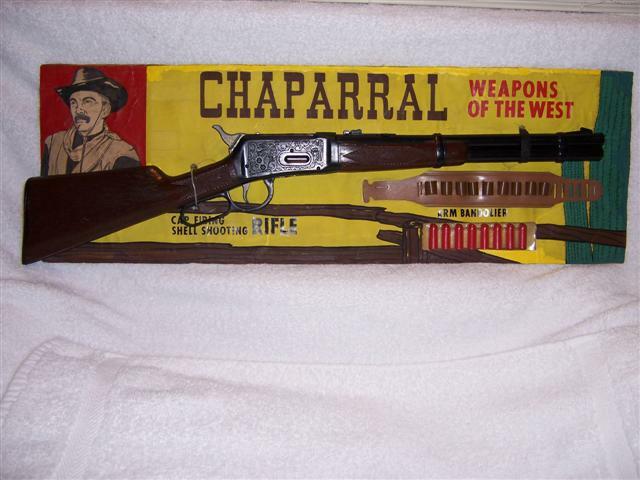 As recently as 1935, it was illegal to breed and raise this ‘Indian weapon’. Thankfully, some survived and dedicated individuals rescued them for future generations. How Do They Get Their Markings? Like humans, horses inherit their genetic material from their parents – in pairs. One parent provides one gene for a given trait (e.g. eye color), while the other gives the corresponding gene to make up the required pair. Some genes are dominant and override the instructions of others. The leopard gene is dominant and so can override or alter the outcome of another that pairs with it. What the Appaloosa inherited from its parents determines its coloration. You may already know that James Drury’s Virginian and Gunsmoke’s Matt Dillon (James Arness) both rode Appaloosas. Below I give a general observation of what to expect, based on combinations. Can you guess which types Matt and The Virginian rode? The horse received one leopard gene from each of its parents (a double dose): This produces the ‘few spots’ patterning. The coloring of the few spot leopard will be almost entirely hidden by the white spotting. In some cases, color may appear on the face and legs. Since both genes are giving instructions to, ‘make white spots’, you don’t usually see much in the way of other color. The horse received the leopard gene from only one of its parents: The corresponding gene is not the mutated leopard but a standard color gene. This is my favorite combination! It produces a range of patterning from mottled to full leopard spots. This is because the leopard will be pushing for the white spotting while the other gene will be coding for color. Each will win some territory and gorgeous combinations result. The leopard spots can cover the entire body in varying degrees on different colored backgrounds. The full leopard pattern and ‘snowflake’ patterns are often confused. Generally, the white ‘snowflakes’ of the latter get larger with age. Snowflakes can be found on horses of all colors. The horse did not receive a leopard gene from either parent: It is not carrying it. This produces a solid color. No spotting is present and the color will be determined by the color information the animal inherited from its parents. Unfortunately the leopard gene is also linked to eye and vision difficulties. This explains why the breed suffers from a higher than average rate of vision problems; in particular Night and Moon blindness. Both produce difficulty seeing in low light conditions. If the animal isn’t ridden at night this seldom creates a problem. I have met many Appaloosas (and owned two) and have yet to encounter a bad tempered one. They are gentle animals and their willingness to learn and to please explains why they have proven successful in so many equine disciplines. Their good nature makes them great horses for children. Another time I will write about a different breed and if you haven’t already read the article with Bob Hoy, I recommend you do. You will see just how much personality the different HC horses had. It’s no wonder the people in the Old West loved them. The state of Arizona, home to the Cannon ranch, has been hit by financial woes like many states during the recession. The Arizona State Parks Board voted on January 15, 2010 to close thirteen State Parks between February and June in order to cut $8.6 million in costs. Four other State Parks will remain closed because of previous budget cuts. Parks with names familiar to High Chaparral fans and sites mentioned in the series include Tombstone Courthouse State Historic Park, Yuma Territorial Prison State Historic Park and Tubac Presidio State Historic Park. The town of Tombstone is separate from the courthouse itself. Other parks to be closed include Homolovi Ruins State Park in Winslow, Lyman Lake State Park in St. Johns and Riordan Mansion State Historic Park in Flagstaff, Fort Verde State Historic Park in Camp Verde, Roper Lake State Park, Tonto Natural Bridge State Park near Payson, Alamo Lake State Park in Wenden, Lost Dutchman State Park in Apache Junction, Picacho Peak State Park and Red Rock State Park in Sedona. 15 January - Happy Birthday to Ted Markland! 25 February - Happy Birthday to Linda Cristal! 3 April - Happy Birthday Bob Hoy!